There are many ways to drive traffic to a site but basically the two most important are SEO (Search Engine Optimization) and SEM (Search Engine Marketing). While there are some similarities between the two &dash; i.e. they both revolve around keywords, they are fundamentally different. In order to learn how to use them successfully, here are some tips about when it is best to use free SEO and when SEM is the better choice. However, before we move to the tips themselves, it is more than necessary to clarify first what we include on the free SEO list and what goes in the SEM category. What Is Free SEO and What Is Paid SEM? There are multiple definitions of what SEO and SEM are. In some cases they are even used as synonyms, which is not precise because they are very different, or SEO is included as a subcategory of the broader SEM umbrella, which is also somehow confusing. Therefore, to avoid confusion, here is how we define SEO. SEO involves all the link building and onpage optimization activities the purpose of which is to achieve good rankings in organic search, while SEM is everything else you pay for, such as PPC traffic. You might ask if this means that paid links belong to SEM. No, they don't &dash; they are simply black hat and they belong neither to SEO, nor to SEM. Less competitive keywords, especially long-tail keywords. For less competitive words, your investment in SEO is more likely to pay off because you don't need that much time and effort to achieve good rankings. This is especially true for long-tail keywords because even if you bid on them, you will hardly get many clicks. For long-tail keywords it is possible to rank well even without any special SEO activities &dash; just include the long-tail keyword a couple of times on the page and it's not unlikely to get to the top of search results even without many (or even any) backlinks. When you are on a tight budget. The second case when SEO is not only the better but the only option is when you are on a tight budget and ideally you have all the time in the world. When your budget is too limited, you might be able to buy some cheap PPC clicks but basically 100 or 200 clicks won't make a huge difference anyway. In this case, you just invest your time in SEO and when your budget allows it, move to PPC. It might look like SEO isn't very useful, when the cases it's the better option are that few but this isn't so. SEO is useful and even if you can afford to spend tons of money on PPC, never ditch organic rankings completely. For competitive keywords. Competitive keywords are too hard to conquer organically. If you have in mind how much time free SEO takes, for competitive keywords PPC is much cheaper than organic. Of course, if you start with Adwords and $3-4 dollar clicks, the costs will be huge but if you try competitive keywords on some of the Adwords alternatives first, most likely you will achieve better results for a fraction of the money you would spend on Adwords. When you need lots of traffic in a short period of time. Free SEO takes lots time to see some effects. If you are under time constraints &dash; i.e. you need traffic on some occasion, you will hardly want to wait. For instance, if you sell Christmas stuff and your keywords are too competitive, you might end ranking well organically but it's no use to rank well for Christmas-related keywords in February, for example. Therefore, in November and December you might want to drive huge traffic with PPC. If you want to start SEO at that time, it's just in time for next year's Christmas, so basically in this case PPC is your only alternative. For better exposure. Most experts think that it is Top 5, or even Top 3 for a particular keyword that matters. In other words, if you manage to make it to the 7th or 10th place, for example, this won't be as good as getting into the Top 5 and still you will have invested a lot in free SEO. If you want to get better exposure, you need to consider paid listings. Paid listings for a given keyword are displayed above organic ones, so you are getting more exposure, but you also must have in mind that generally users are more likely to click on organic results than on paid listings because they feel organic listings are more authentic. To find keywords that convert well. Paid SEM is a great source of keyword ideas for free SEO. After you launch a campaign, you will see that some of the competitive keywords you thought would do great for you, if you ranked well for them in Google, actually don't convert. It's quite logical that if a keyword is competitive, this doesn't necessarily mean it will convert well for you and it's best not to learn it the hard way. The wisest you can do is spend some dollars on a PPC campaign and see if this particular keyword converts well. If it does, then increase your free SEO efforts and your PPC budget for it. Free SEO and paid SEM complement each other brilliantly. Each of them has its strengths and weaknesses and for best results, the winning approach is to use both. 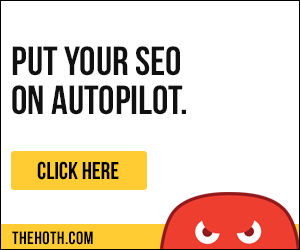 You just need to experiment a bit till you find the right combination for you and do ongoing monitoring of the effect but once you find the perfect formula, you won't believe how much traffic you'll be getting.